When designing real-world distributed applications, we face many decision points. Understanding the tradeoffs that we face at these decision points lets us make smarter choices faster. This talk will discuss a series of real-world distributed applications built by the speaker and some of the key tradeoffs that were made in these systems. This is a pragmatic talk for an audience who is eager to go beyond hope and fear into the lightness of hopelessness and confidence. 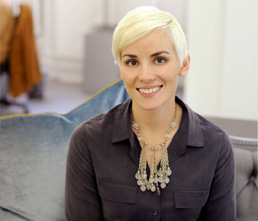 Camille Fournier is the CTO of Rent the Runway, where she and her team of 65 (and growing!) engineers are helping to build the world's first rental platform for luxury goods. Prior to Rent the Runway she was a Vice President at Goldman Sachs, specializing in infrastructure systems. In her limited spare time she contributes to the Apache ZooKeeper project as a committer and PMC member, and helps to oversee the Dropwizard web framework.